We always want our kids to eat healthy food and kids prefer it to be tasty, irrespective of whether that food is nutritious or not. Thus, this becomes a challenging task to think something new and innovative everytime we pack our kids tiffin. In continuation to my lunchbox ideas for kids, I am back with yet another paratha recipe. I had mentioned earlier paratha is a wholesome meal by itself. 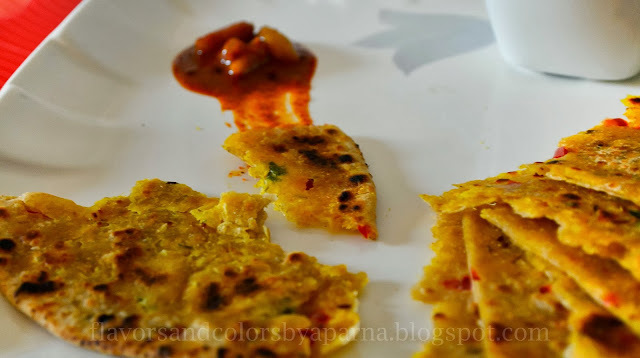 Read about savoury stuffed aloo paratha here and sweet stuffed sheera poli here. 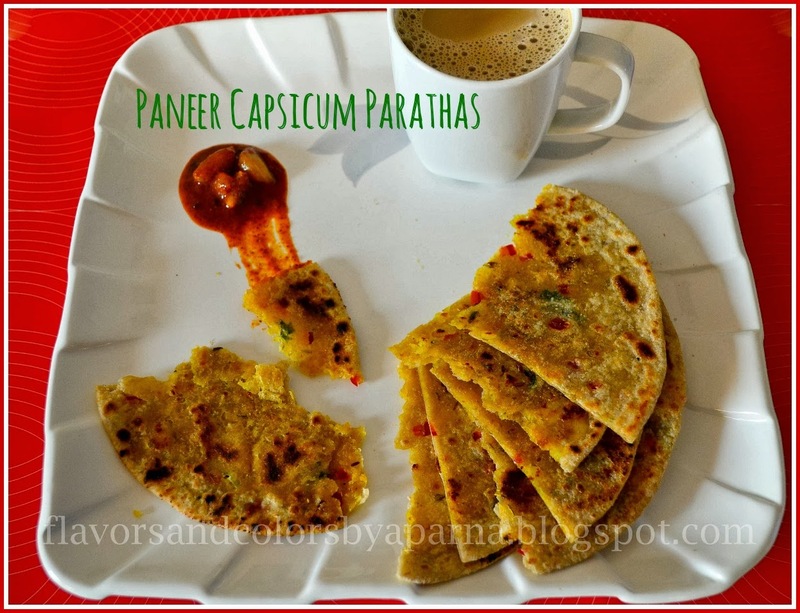 This time its capsicum paneer paratha. The name must have suggested you by now what's the stuffing that goes in this paratha :). I prepared this for the first time and was eager to see kids reaction. The dish was served as an evening snack with cup of milk to kids and they loved it. Surely this recipe is a keeper. 1/2 cup red capsicum, very finely chopped [You can use different coloured capsicums]. Mix the wheat flour, salt, oil/ghee in a mixing bowl. Now gradually add water, a little at a time and knead well to make a pliable dough. Cover and keep aside allowing the dough to rest for 30 minutes. Heat oil in a deep pan, add cumin seeds. Once it splutters, add grated ginger garlic. Saute it for a minute. Add finely chopped capsicum and saute it for a while. Now lower the flame, add dry spice powders, amchoor, kasoori methi, crumbled paneer and salt as per the taste. Finally add besan flour. Mix well. Switch off the flame and keep it aside to cool. Divide this mixture/ filling into equal size balls. Divide the dough into equal size balls. Take one ball at a time and roll out into thick circles. Place the filling in the center of the rolled dough. Bring the edges of the rolled dough together to enclose the filling. Keep this stuffed dough aside for few minutes. Do the same with remaining dough and filling. Now dust the rolling board with wheat flour and roll the stuffed dough gently into circular/ triangular or square shaped thick parathas. Fry the rolled parathas on both sides on hot griddle using oil/ghee or butter as per your preference. Serve hot with your choice of accompaniment. I served it with garlic thokku [store bought]. Hope u try and like the above recipe. Do leave your feedback in the comments section. Happy Cooking ! 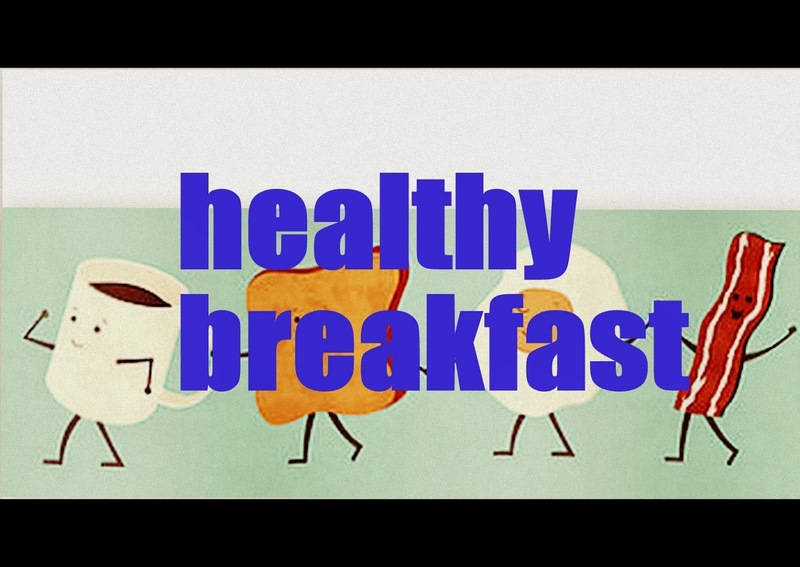 A very healthy breakfast. Thanks for linking this to my event. Looking for more yummy recipes like this.